Dig Some PlatinumDB Drive has introduced a new model into their Platinum Series amplifier lineup, the PT1200.1D. 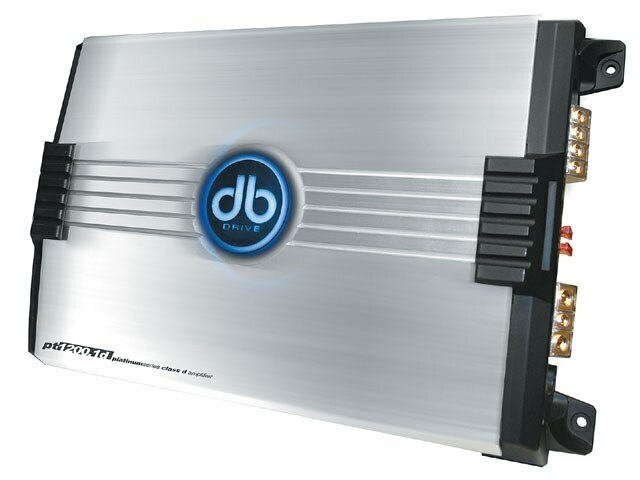 This single-channel amp offers unsurpassed performance in a stylish chassis featuring brushed aluminum and an illuminated blue DB Drive logo badge. Refined Class D technology allows the amplifier to produce more power, minimize heat and limit current consumption. For more information contact: DB Drive, Dept. LRM, 1002 W. Jackson Avenue, Harlingen, TX 78550, (877) 787-0101, www.dbdrive.net. Stock Up On EdelbrockEdelbrock has new stock on lock that will rock the performance of your Ford or Chevy-from crate engine top end kits for GM short-blocks to Thunder Series AVS carburetors with the EnduraShine finish. They also have axle-back exhaust systems for ’05-’07 Ford Mustangs, RPM air-gap dual-quad intake manifolds and hydraulic roller camshaft kits for Fords and Chevys. For more information contact: Edelbrock Corp., Dept. LRM, 2700 California Street, Torrance, CA 90503, (310) 781-2222, www.edelbrock.com. 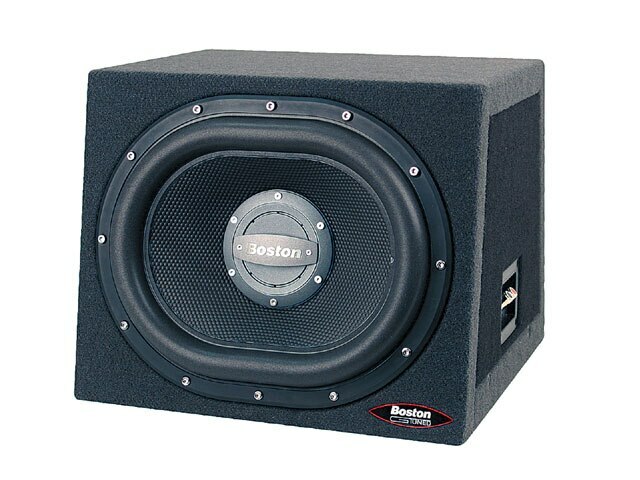 Boston Boom BoxBoston Acoustics has introduced two new additions to its G-Tuned lineup of prefabricated cabinets for automotive subwoofers. The SPG555SS and SG555PS enclosures are specifically designed for the high-output reference woofer in both sealed and ported models, and share rugged 0.75-inch MDF construction. For more information, including the location of an authorized dealer near you, contact: Boston Acoustics, Inc., Dept. LRM, 3000 Jubilee Drive, Peabody, MA 01960, www.bostonacoustics.com. 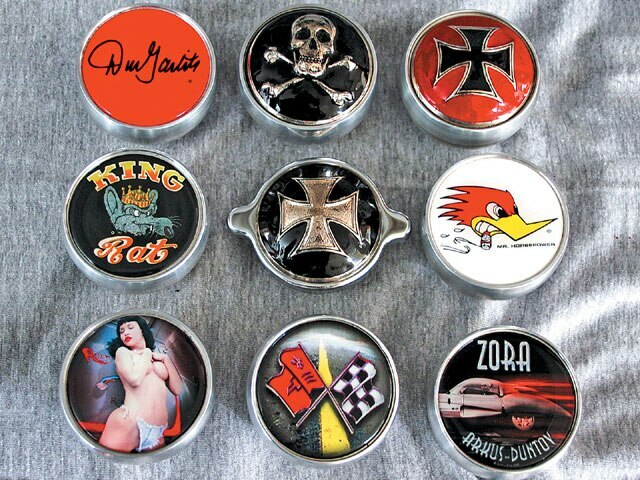 Ace Knob JobAce Metal Products has released their Pioneer Series in appreciation of the men and women of motor sports. The series includes milled aluminum shift knobs for banging second gear with authority, plus license plate frames, valve cover caps, trailer hitch covers, etc. featuring officially licensed images of some of your favorite automotive icons, including Maisumi Max. For more information contact: Ace Metal Products, Dept. LRM, 930 Commercial Street, Palo Alto, CA 94303, (650) 856-3317, www.hotrodbettie.com. 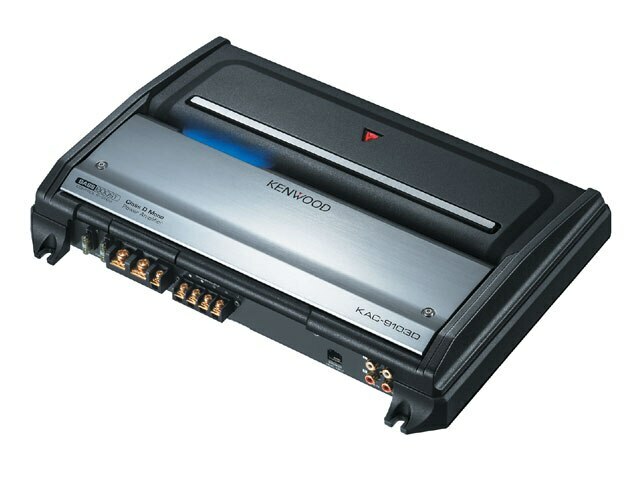 Kenwood’s Performance EmphasisKenwood USA has introduced a new series of car audio amplifiers with an emphasis on technology and high performance. The KAC-9103D seen here is a Class D digital monaural amp with a power output of 500 watts into 4 ohms and incorporates the Bass Boost feature for extended low-frequency response. For more information, including the location of an authorized dealer near you, contact: Kenwood USA Corp., Dept. LRM, P.O. Box 22745, Long Beach, CA 90801, www.kenwoodusa.com. 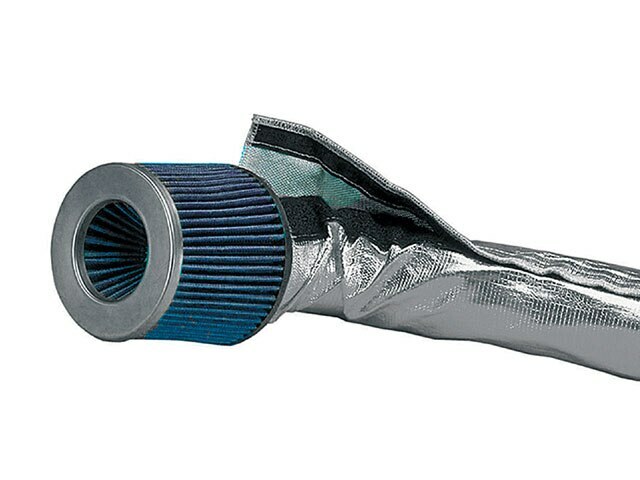 Playin’ It CoolDEI has introduced Cool Cover to reduce under-hood heat and prevent air tubes from becoming heat sinks. Made of treated fiberglass with a reflective coating, The unique hook and loop designed Cool Cover will reflect radiant heat away from air tubes and allow cooler air to be introduced into the intake for a denser, more powerful air charge. For more information contact: DEI (Design Engineering, Inc.), Dept. LRM, 604 Moore Road, Avon Lake, OH 44012, (800) 264-9472, www.designengineering.com. DashHawk, For Your InformationKeep a sharp eye on your vehicle’s vitals with MSD’s new information display, the DashHawk. 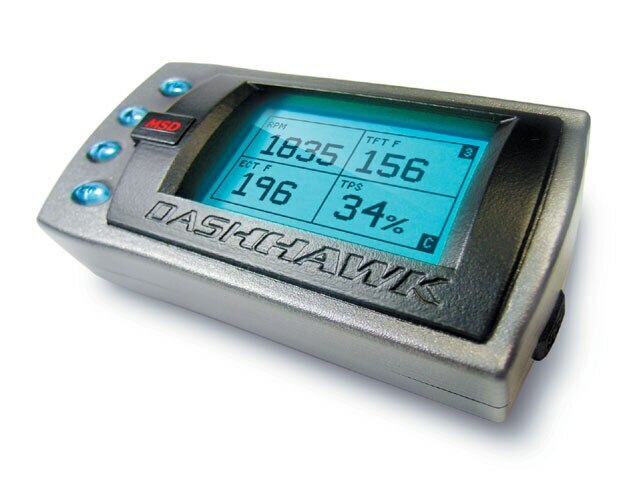 Simply connect DashHawk to the diagnostic port and you have access to more than 100 parameters on 11 separate screens. Speed; rpm; oil pressure; coolant, oil and transmission temperatures; throttle position; engine load and much more can be viewed. For more information contact: MSD Ignition, Dept. LRM, 1490 Henry Brennan Drive, El Paso, TX 79936, (915) 857-5200, www.msdignition.com. Weld Forges AheadGreg Weld has announced a new line of hot-forged one-piece wheels for truck applications with sophisticated styling and unmatched durability. These new wheels are 3-D machined, meticulously finished and available in a range of sizes from 20×10 to 24×12. 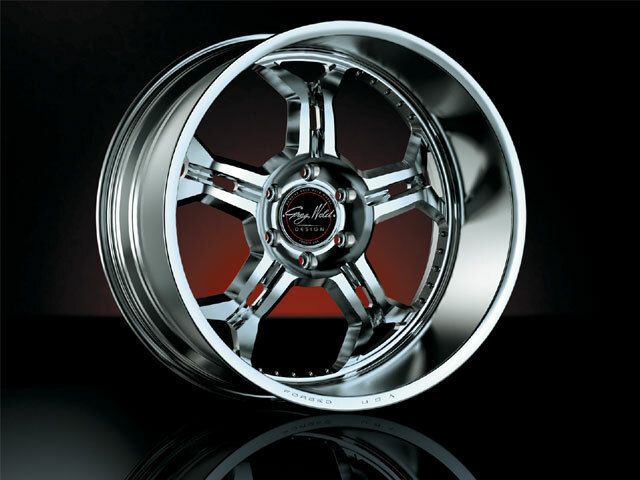 The forged wheels are available in either a chrome-plated finish or Weld’s proprietary protective coating. For more information contact: Greg Weld, Inc., Dept. LRM, 933 Mulberry Street, Kansas City, MO 64101, (816) 472-4734, www.gregweld.com. 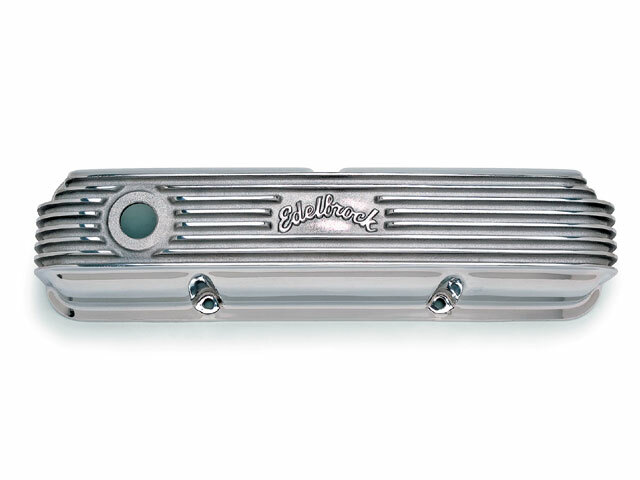 Strike While The Iron’s HotWorld Products’ acclaimed Man O’ War cast iron engine block for 302/351 Ford applications has now been joined by a lightweight aluminum version. This latest addition to the Man O’ War family is manufactured from high-density 357-T6 aluminum alloy and is CNC machined to exacting tolerances. It features two extra head bolts/studs per cylinder. For more information contact: World Products, Dept. 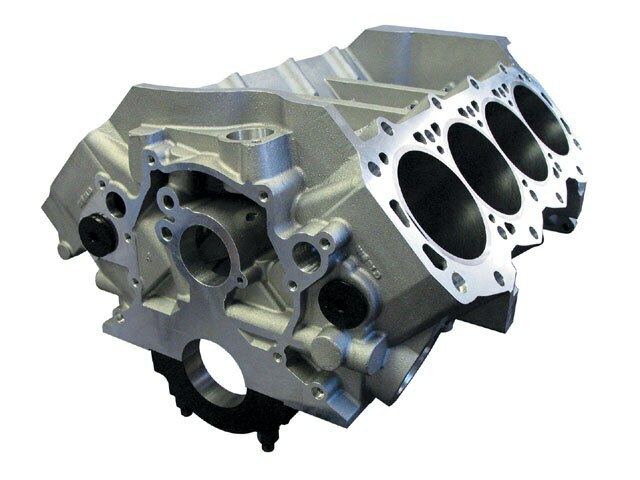 LRM, 51 Trade Zone Court, Ronkonkoma, NY 11779, (631) 737-0467, www.worldcastings.com. Nifty Shift ShaftTCI’s new heavy duty input shaft and drum assembly delivers durability to GM 700R4 and 4L60E transmissions and eliminates input shaft and drum breakage when those transmissions are used in high-torque applications. 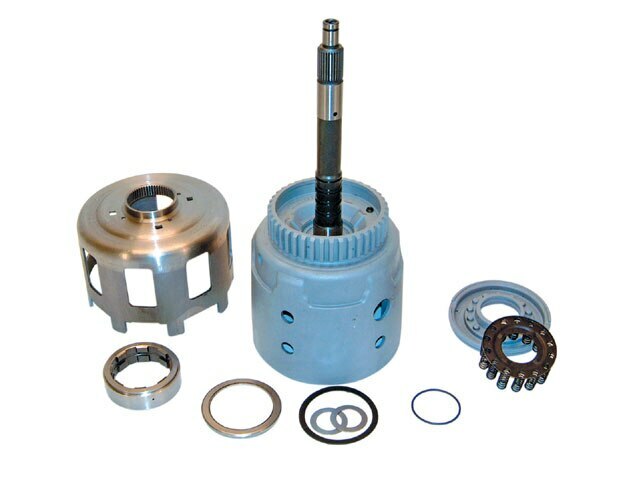 Featuring a cryogenically hardened input shaft, the assembly incorporates a specially processed drum with a steel reinforcement ring for firmer shifting. For more information contact: TCI Automotive, Dept. LRM, 151 Industrial Drive, Ashland, MS 38603, (888) 776-9824, www.tciauto.com. On Easy StreetStreet Scene Equipment has announced the release of their Generation II front bumper cover/valence combo for 2007 Chevy Tahoe, Suburban and Avalanche models. 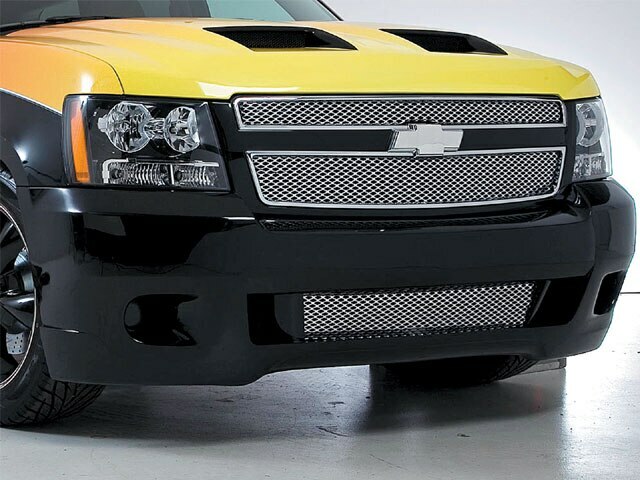 These aggressively styled bumper covers feature large center air dams, installation hardware and durable polyurethane construction. Matching Street Scene Speed Grilles are also available. For more information contact: Street Scene Equipment, Dept. LRM, 365 McCormick Avenue, Costa Mesa, CA 92626, (714) 426-0590, www.streetsceneeq.com. Seal The Deal With SteeleSteele Rubber Products is now offering a complete line of roof rail seals for most American-made convertibles. 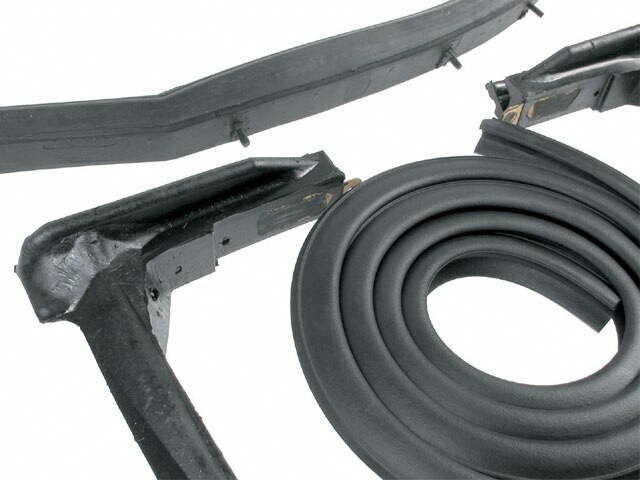 These roof rail seals have authentic looks and a perfect fit to protect your car from weather and noise. The seals are available in multi-piece sets or individually, including side rails, hinge pillars and the front bow-to-windshield weatherstrip. For more information contact: Steel Rubber Products, Inc., Dept. LRM, 6180 Highway 150 East, Denver, NC 28037, (800) 230-8101, www.steelerubber.com.